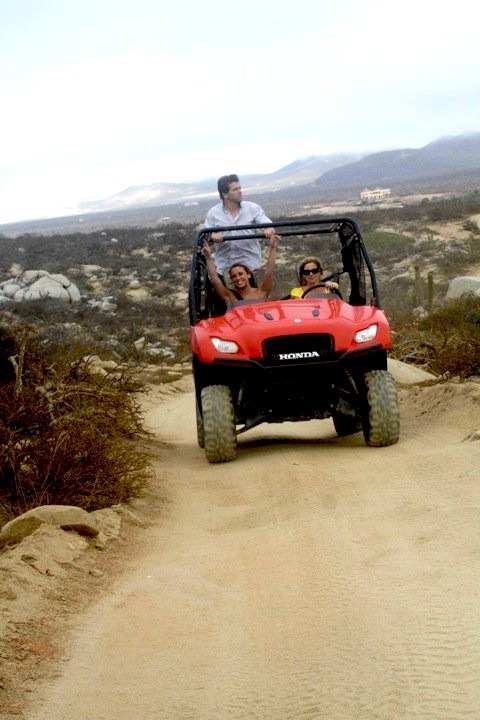 Cabo’s desert terrain makes going “off road” a popular attraction. From atvs to jeep rentals, everyone likes to explore the place where the desert and mountains meet the ocean. Pictured here is a Rhino Safari from Rancho Carisuva. Their “Rhinos” are not of the animal variety, but are friendly all terrain Yamaha Rhinos, designed to take you up into the mountains of Cabo. You’ll explore secluded beaches, giant cacti, and other desert flora and fauna. Rancho Carisuva is about 40 minutes from downtown Cabo San Lucas, located at Playa Migriño. Have you gone “off road” in Cabo?